I am currently a Consultant Cardiologist at Barts Heart Centre. I was previously the lead clinician for cardiac MRI (CMR) at Barts Health leading one of Europe's largest CMR services which I founded in 2008. To facilitate training and education at a regional and national level in CMR I co-founded London CMR in 2007 to emphasise the increasing clinical use of CMR within and outside the CMR community. This is now the second largest CMR meeting in the UK. I am the Deputy Treasurer of BSCMR, the UK's national society for CMR, where I have written guidance on core and advanced level training in CMR to complement the cardiology curriculum. In 2012 I was appointed Director of Education for Cardiovascular services at Barts Health. 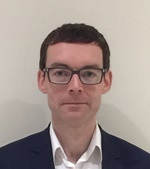 I am current Cardiovascular Director of Education at Barts Heart centre, London, where I am responsible for ensuring high quality training, education and continued professional development for all 1,400 staff members across the multidisciplinary team. In 2015 I was appointed as chair of the SCMR Education committee. I am working on redesigning the educational content of the SCMR website and a series of SCMR commissioned position papers on the use and best practice of CMR. I am the current chair of the examination board of the European CMR examination. I organise the question writers and the question writing group and also the examination board meetings. I set the examination and perform the analysis of the examination to determine the passmark.